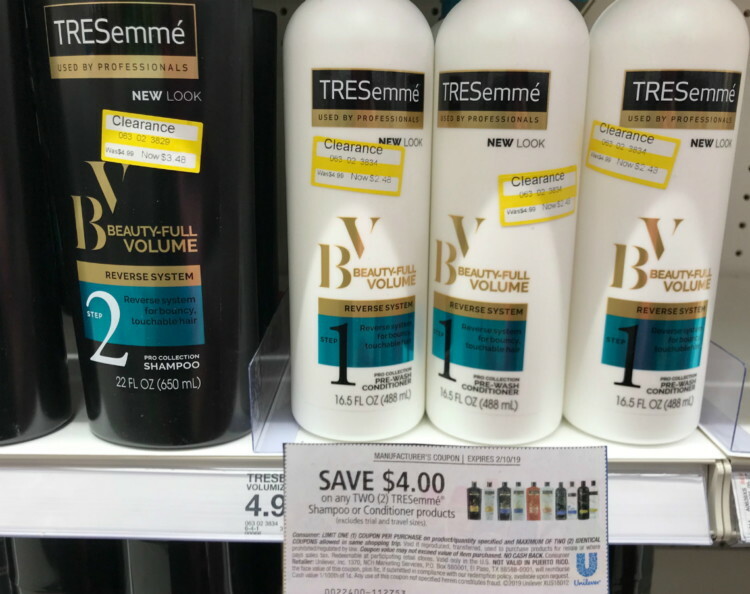 Right now at Target you can find Tresemme Full Volume Conditioner for only 48¢! Take a look at the beauty clearance at your store for these and then combine the clearance price with this $4.00 off 2 Tresemme Shampoo or Conditioner coupon from the RMN 1/27 insert. To find this item in your store, go to brickseek.com and type in your zip code along with the nine-digit DPCI inventory number: 063-02-3834.